Has anybody purchased or used a Division Master unit. Has anybody built one from the kit. I would like to hear from anybody with indexing experience using one. There are some photos in my album. I can't speak for the DM but the Ward one works well and was easy to build. I built a Divisionmaster several years ago before the Ward indexer was available. The Divisionmaster is good but having built several of the Ward indexers, at significantly lower cost, I would go that route every time, both perform the function equally well. Thank you John and Graeme. John, I am very interested in your suggestion. Built the ward one too! Very good, works well, easy to build and cheaper than division master. There should be some pictures in my album. +1 for the Ward design. A very well thought through design which is inexpensive to build and easy to use. The price is now dramatically undercut, but I have no regrets. ... A superb piece of kit. Reading this thread promopted me to have another look to see if the source code was available for Steve Ward's design. I did not find it but noticed that he has a new version of the code that now runs on a PIC18F4520 (Rather than the original PIC16F877.) 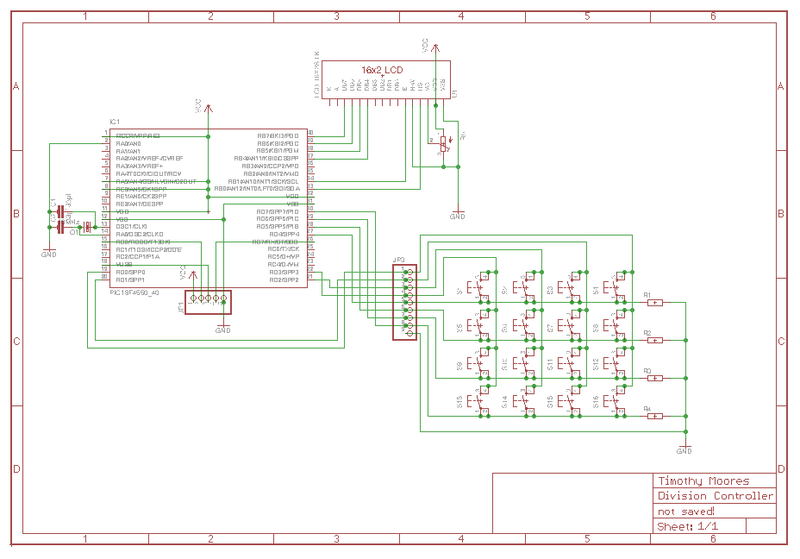 I think it will be compatable with the original schematic so I will try the new code when I get time. The original PIC16F877 code was worked without any problems. It would be great if you could do that for me, I am thinking the Ward indexer is the way to go. 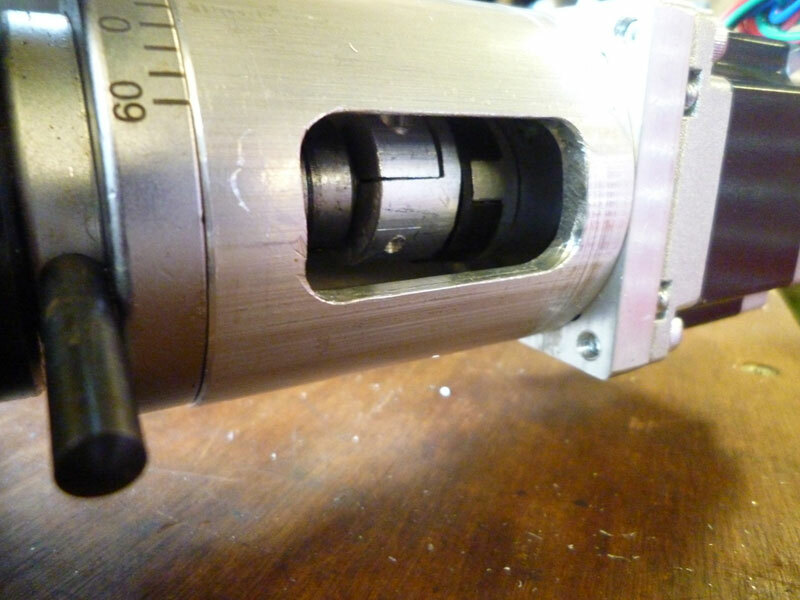 Looking at the ward site, there seems to be the electronic (cheap even if you buy the ready built version), but little mention of the stepper motor or the attachment of said stepper to the rotary table. Or have I missed something as usual? You are correct in stating that the Ward site only covers the electronics side of the project. 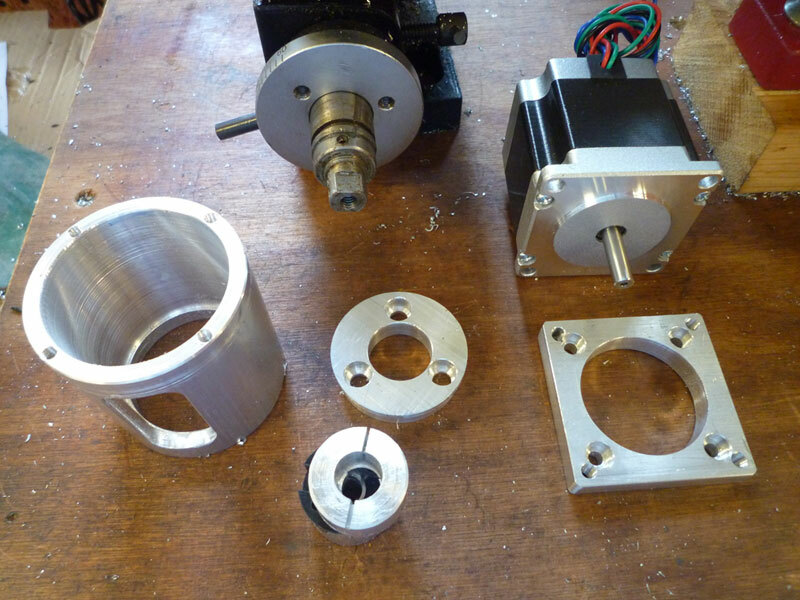 For the mechanical side, it's only really a couple of simple items to make plus some form of coupling. I made all of the items myself from my own drawings, and I would consider myself very much in the beginner category of engineering. The Ward Controller PCB can actually be simplified, back to being more like his original design, the current version has many extra bells and whistles that not everyone actually requires. This is a schematic of a bare bones version, the keypad part could easily be replaced with a 4x4 matrix one for £0.99 from ebay. The only real requirements for building it are a PIC chip (free via the sample service from Microchip), A clone PicKit programmer (about £7.00) and a ZIF adapter (under £2.00) both reusable for future projects, in total less than the price of a genuine Arduino. The LCD you would need to buy for any version of the controller (£3.00) and a small perfboard costs pennies. You would still require the following items for either version: a stepper driver - I used a PMinMO one that I built for about £5.00, a PSU (old laptop one - free) voltage regulator to supply 5V (Pulse Width Buck Converter - about £1.00) and a stepper motor that will work within the range of the stepper driver (mine cost £17.00). I would like to say that the 2 postings you have made on this subject are, clear information and most helpful to anybody considering building this item. Can you identify what the bells and whistles are to help a decision on their desirability. The full list of what it can do is shown at World of Ward under description and features. I chose to implement a bare bones version, as I currently have no need for the additional functionality and wanted it to be as simple as possible to implement on perfboard. I can always build the full version later and re-use the parts for minimal additional cost - if I do decide to upgrade, I will probably buy the bare PCB from Steve Ward at £6.00 it is still pretty cheap. Another possibility (if I may bang my own drum) is my keypad operated divider. It's based on an Arduino and inspired by a comment made by John Stevenson. He disliked the nested menus of Carl's article and asked if the same could be done with a keypad? The answer is yes, and of course a numeric keypad also allows more bells and whistles. Eliminates the nested menu needed by the DF-Robot board's push-buttons and the DF-Robot board. The ability to receive commands from a USB connected computer. Not sure this is useful. Although the interface works, it's not compatible with anything and I haven't written a user friendly interface for it. The software and a descriptive PDF may be found here. 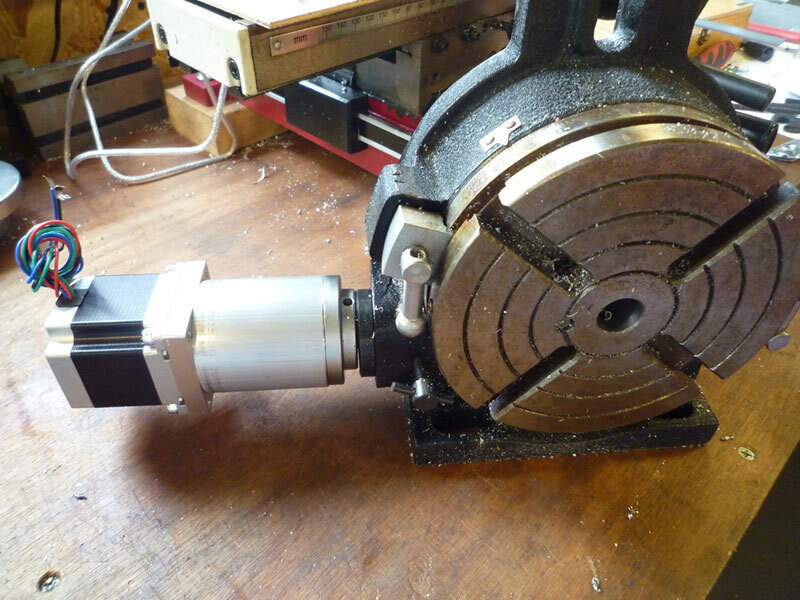 Also of interest may be the simplified motor-mount I made. The original design calls for a rather nicely made aluminium sleeve. As I didn't have the materials I made this pillar bodge instead. It's considerably simpler and works well. If you're nervous about trapping your fingers in the works, wrap electrical tape round the pillars. The knurling is just fancy waistcoats! 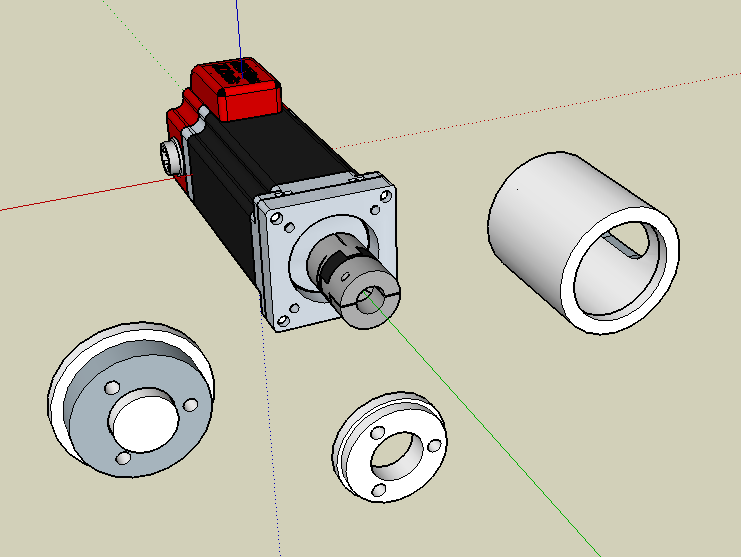 Also of interest may be the simplified motor-mount I made. The original design calls for a rather nicely made aluminium sleeve. As I didn't have the materials I made this pillar bodge instead.